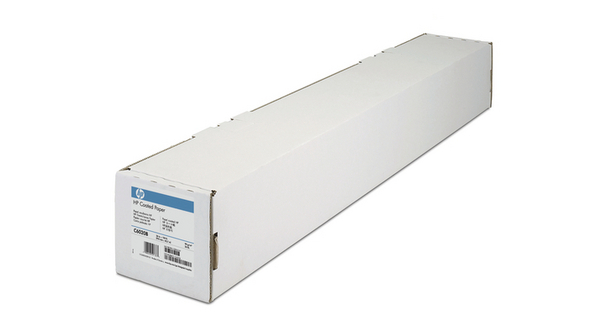 HP Printer Paper C6029C Large Format Media Coated 610 mm x 30.5 m 130 g/m2. Produce rich, color-accurate, lasting prints and deliver on quick turnaround times. HP Heavyweight Coated Paper is ideal for color-accurate prints, working comps, and design proofs, and offers excellent handleabilitroll or stack time-sensitive documents as soon as they come off the printer. And to help you meet the environmental objectives of your companand your clientsâ€”this recyclable, PEFC certified paper supports responsible forest management worldwide.